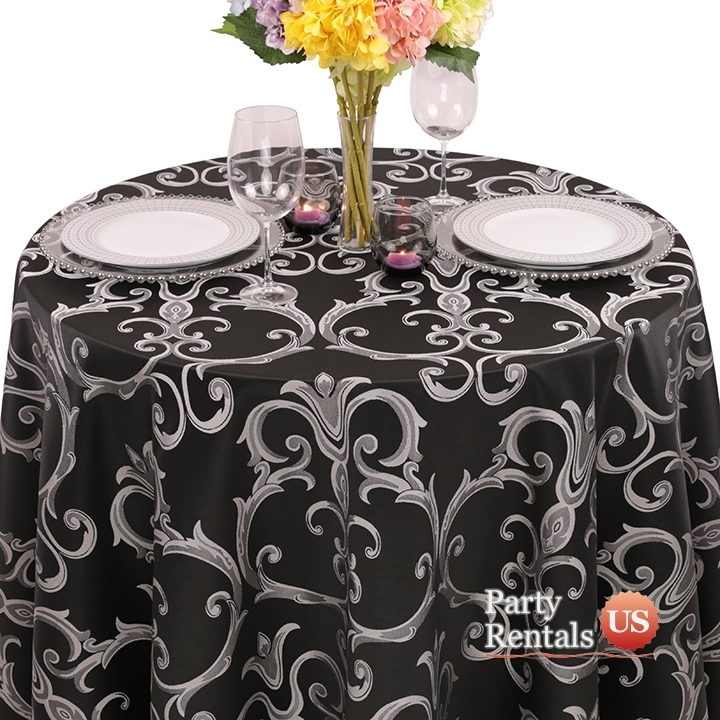 This "Damask Chopin" pattern will offer sophistication to your next event. The silky feel is offset by the bright colors that run throughout this tablecloth. Named after a classic pianist, this tablecloth will sing to your guests as they enjoy a fine meal.